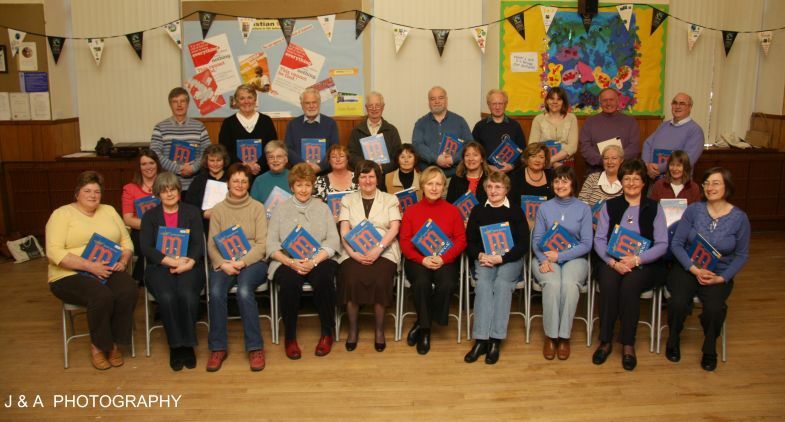 INVERURIE CHORAL SOCIETY was formed at the beginning of 1998 and began rehearsing in February. It was established in response to requests from many people who wanted to sing choral music from the classical repertoire. The Society gave its first full performance in December 1998, under the direction of John Hearne. Since then the Society has performed two or three concerts a year together with taking part in the annual Aberdeenshire Choirs festival. We are a very friendly Choral Society. We also hold informal social events throughout the year. New members are always welcome! Rehearsals are on Wednesday evenings at 7.30 pm in Inverurie West Church Hall, West High Street, Inverurie. We do not hold auditions and invite anyone to join us for a couple of rehearsals to find out how we work. Sight-reading is useful but not essential. INVERURIE CHORAL SOCIETY is supported by the National Federation of Music Societies with funds from the Scottish Arts Council, and has received generous help from Aberdeenshire Council and Gordon Forum for the Arts in setting up its activities.